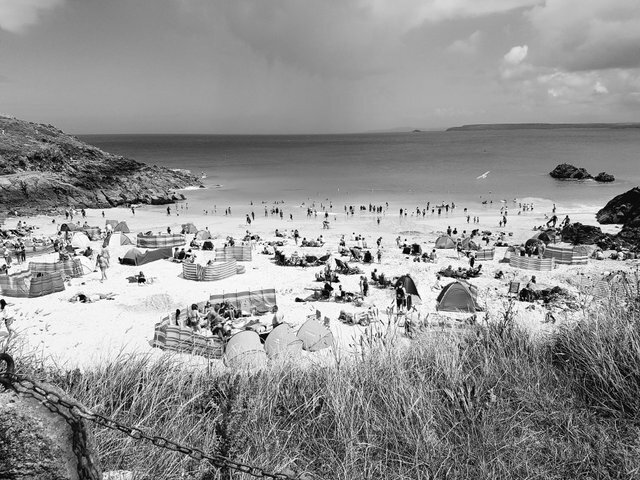 This image was taken in St Ives, Cornwall on a family trip a few weeks ago and is my second entry for the black and white photo contest ran by @daveks. Guest judge this week is the lovely @sweetsssj! I love how people who live in North West Europe deal with inclement weather. Even though it's about to start pouring rain, the beach is still packed!